Papiss Cisse doesn’t want to leave Newcastle United, despite concerns over Wonga’s shirt sponsorship being against his religious beliefs. 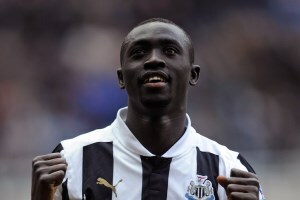 The Sunday Sun claims that the Senegal international striker has given no indication that it is an issue that could see him leaving St James’ Park, which will bring relief to the supporters as the striker is just about the last player they want to see exit their club. Newcastle could allow Cisse to wear another shirt in a way of solving the issue. The club have a installed a prayer room at the training ground for their muslims employees, a move that was praised by their players. So they have shown to be respectful of their players’ beliefs, some-thing Alan Pardew has spoken about on many occasions.